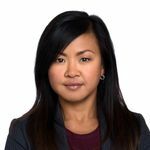 Rowena Gargalicana is a civil litigator specializing in real estate and family law matters. Rowena has represented individuals in lawsuits in both state and federal courts, as well as in investigations by government agencies. She has the unique experience of having represented plaintiffs and defendants which allows her to appreciate a 360º view of a particular conflict. ​This experience led Rowena to develop a family law mediation practice to assist parties with resolving custody, visitation, support and property division issues economically. Before forming G/G, LLP, Rowena represented plaintiffs in civil rights actions, including disability access discrimination and employment discrimination in individual and class action lawsuits against governmental and private entities and public corporations. She was part of the legal teams that litigated against corporation and state entities, such as Macy’s, Target, the State of California of San Francisco, FedEx and UPS, on behalf of customers, employees and the general public to enforce their civil rights for equal access or against discrimination of employees with disabilities. Rowena has been volunteering in her community since the age of 16. Her volunteer activities span working in the pediatric ward at the San Joaquin Valley Hospital, fundraising on behalf of Leukemia research, mentoring young lawyers, providing advice at legal clinics, and serving on the boards of community and legal organizations. If not law, then triathlons. Rowena is a long-time endurance athlete having moved on from marathons to triathlons. Her bikes are fixtures at the law office.